These architecturally designed townhouses in Rosanna were successfully delivered by Pascon Group 2 months ahead of schedule in December 2017. The project had its challenges being built on a sloping block and encountering rock with all excavations. There close to 50,000 bricks to be laid, different cladding materials, up to 2m retaining walls. With time and quality at the forefront of our clients requirements, the project team and subcontractors worked tirelessly to ensure we surpassed our clients expectations. 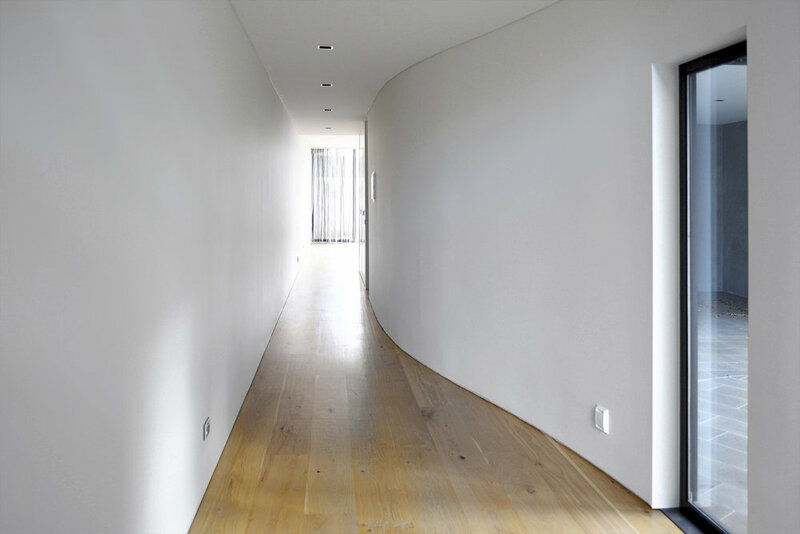 This project was delivered on a Design and Construct basis, working closely with our client to nominate finishes, fixtures and fittings throughout the development. Completely re-cast in a contemporary role, Pascon Group successfully completed these exceptional Edwardian homes in May 2017. A generous main bedroom featuring walk-in robes and a fully tiled, beautifully fitted ensuite surrounds itself with two further equally desirable bedrooms and a perfectly appointed family bathroom. The luxury, the proportions and the privacy of the living/dining area make a memorable impression, complemented by a striking raked ceiling and a kitchen equipped with Miele appliances, excellent storage, integrated refrigeration and dual VINTEC wine fridges. 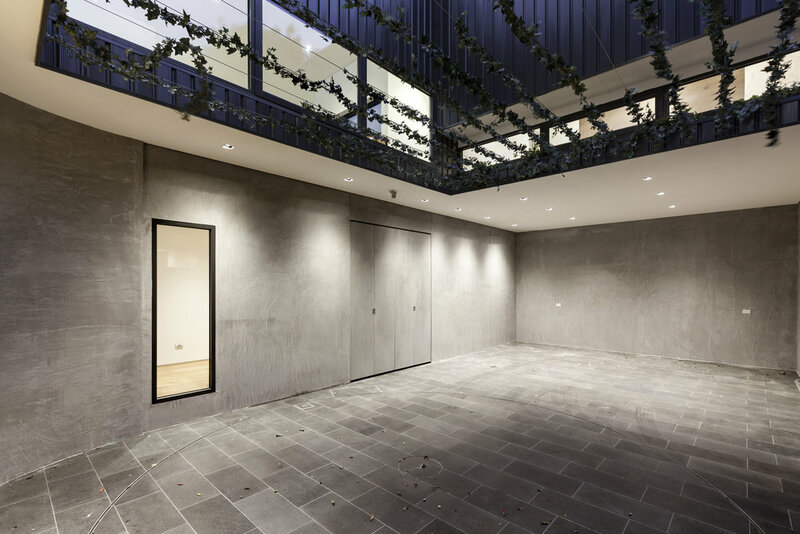 No expense was spared in this beautiful designed house in South Yarra. 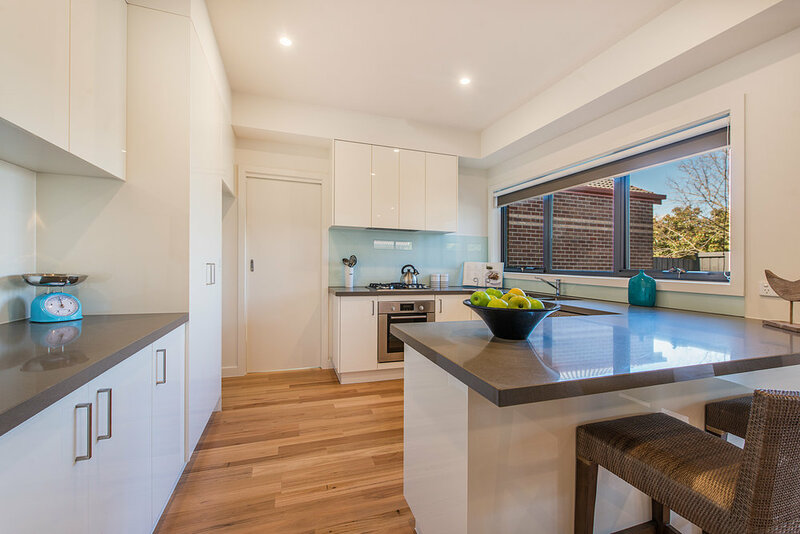 Designed by the award winning Architect Kavellaris Urban Design, this spacious 3 bedroom home boasts only the best finishes, fixtures and fittings throughout. A tight site with the building spanning boundary to boundary, this project had many challenging aspects. 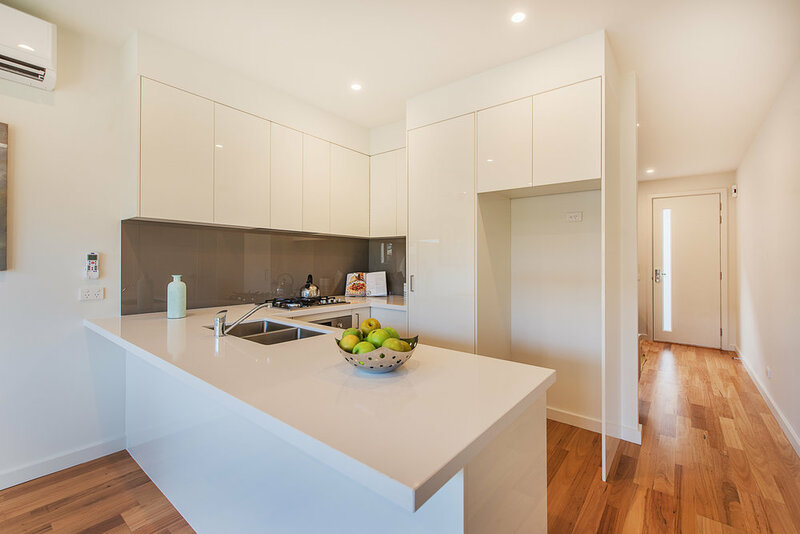 The Pascon Group team was able to sucessfully deliver the project exceeding our clients expectations. These luxury residences were successfully completed by Pascon Group in March 2016. Boasting the very best of quality and finish throughout, we surpassed our clients expectations by delivering this project under time and budget. The instant family appeal of these sensational executive residences, their generous proportions and contemporary style is immeasurably enhanced by a superb location. 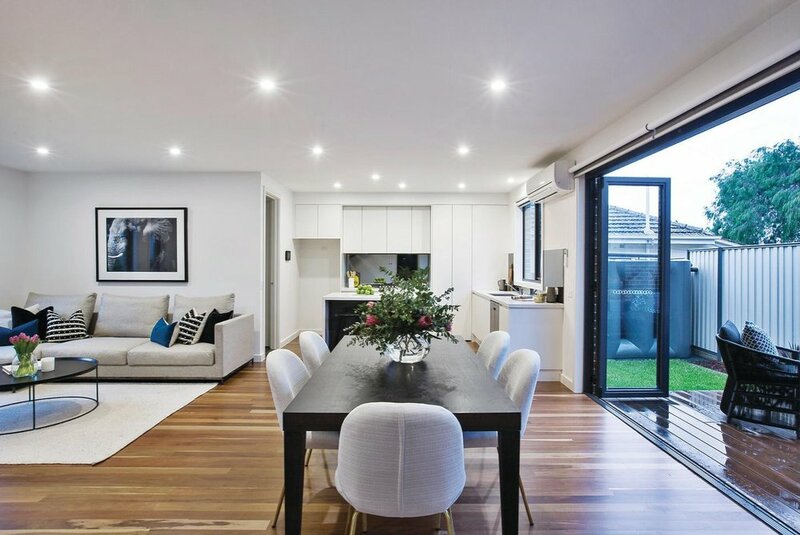 Set behind a private garden, dark hardwood floors flow through the exceptionally spacious open plan living and dining rooms with a gourmet ILVE kitchen featuring stone benches. 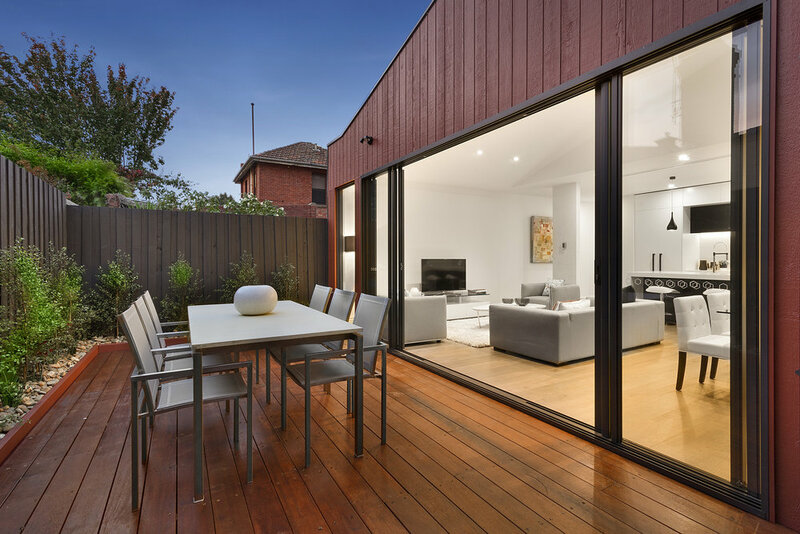 Each living spaces opens up to a private courtyard and entertaining deck. The glorious main bedrooms with stylish ensuites and walk in robes is conveniently situated on the ground level while a fabulous children's zone upstairs comprises a second bedroom with sleek ensuite and two additional double bedrooms with built in robes. 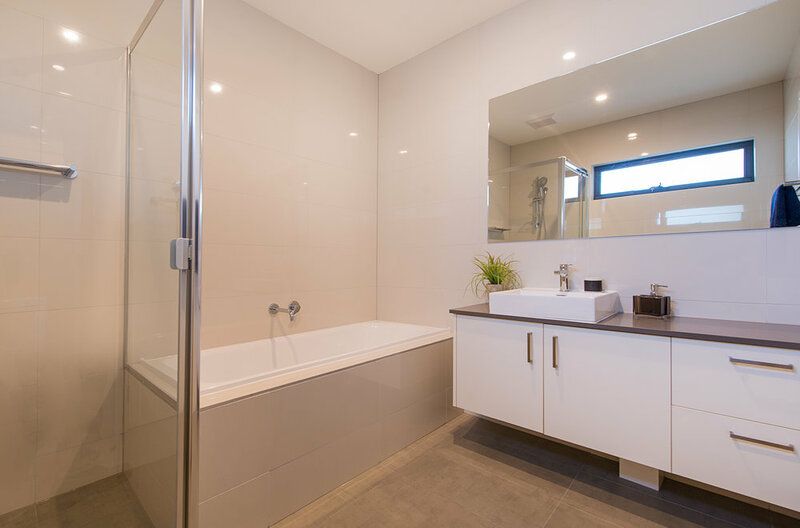 Including designer bathrooms with freestanding baths and sunny retreat. Appointed with video intercom, powder-room, laundry, water tank and internally accessed garages. 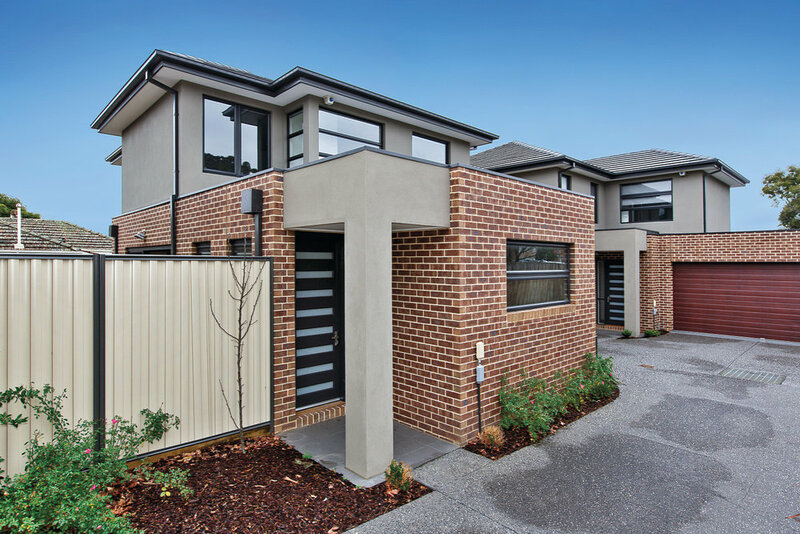 Designed and built with quality at its forefront, Pascon Group successfully delivered the construction of 4 new townhouses in Clayton South. 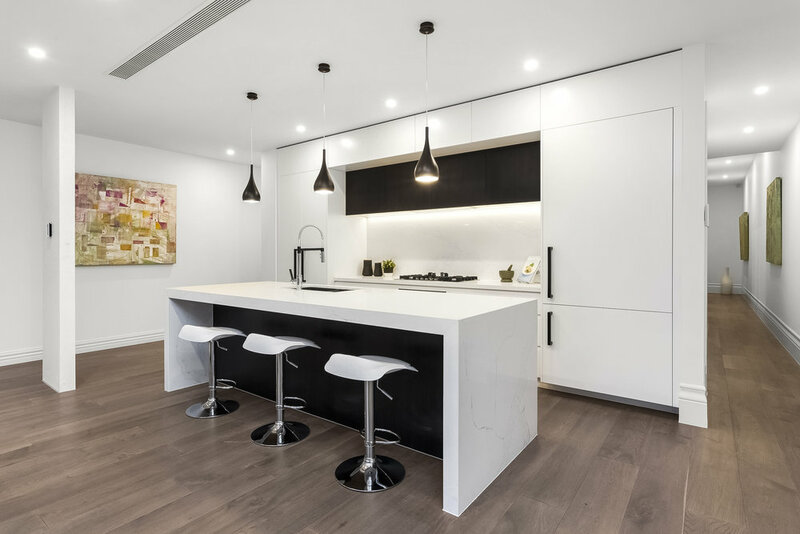 Styled to meet the demands of a busy modern lifestyle, these townhouses boasts vast living/dining areas with floating floors and gorgeous kitchens with stone benches, glass splash backs and stainless steel appliances. 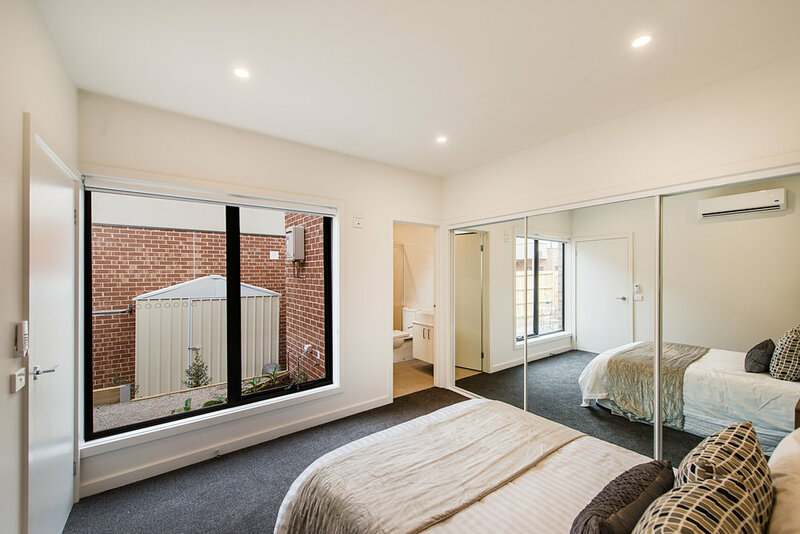 They consist of 2 - 3 robed bedrooms, including the master with an ensuite tiled from floor to ceiling to match the family bathroom and additional downstairs powder room. 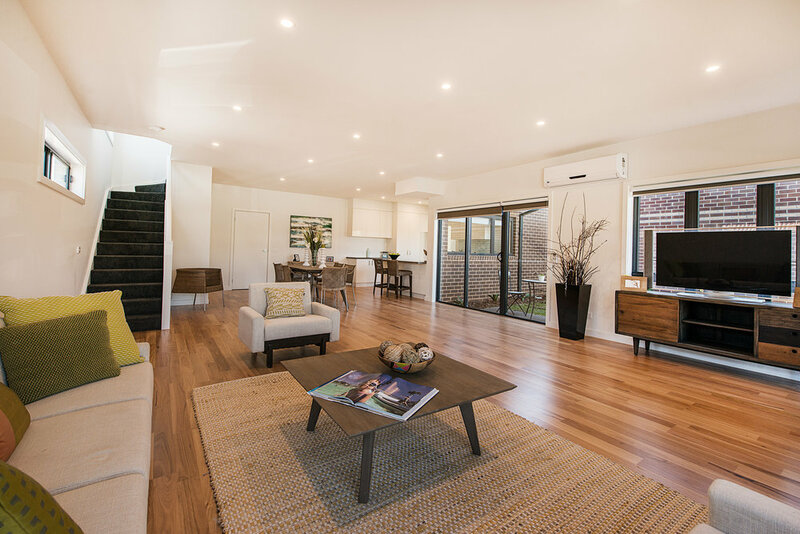 A host of extras provide additional comfort and value including split system heater/air conditioners, LED lighting and double glazed windows throughout while outside you find a double remote garage with internal access and a private landscaped courtyards. 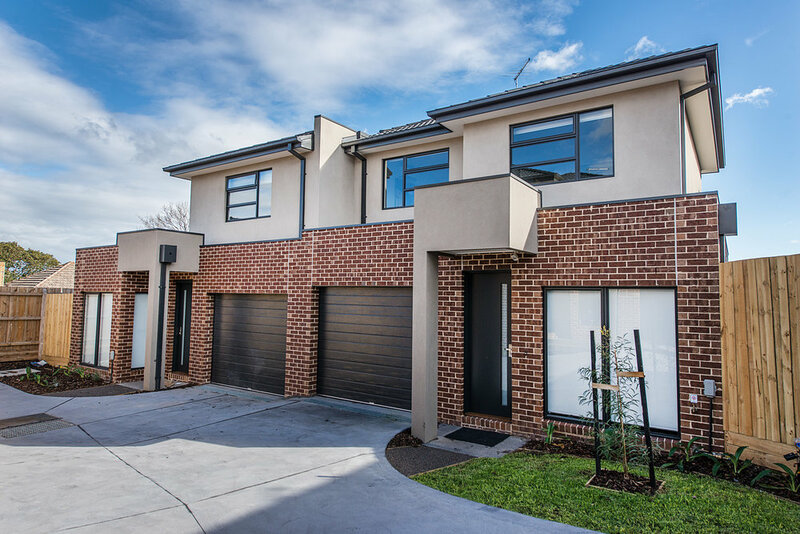 Completed in June 2016 for a repeat client, Pascon Group completed the construction of these 6 townhouses in Clayton. Ranging from 2 -3 bedrooms, crafted with excellence in design, build quality of a superior standard and high finishes, only the best is found inside these townhouses. 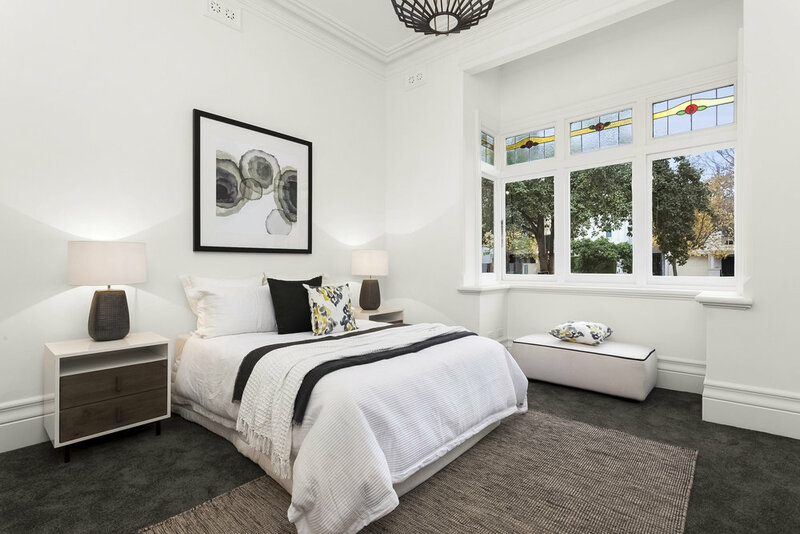 Boasting a desirable six-star energy rating, these residences also feature double glazed windows, ILVE appliances, reverse cycle heating/cooking units to all bedrooms and living ares. A sucessful project for both our client and Pascon Group. Magnificent finishes and clever design, this impressive four-bedroom off-plan executive residences deliver on every angle. A radiant & bright ground-floor layout is wonderfully zoned, as the entrance leads into a welcoming and light-filled living area. 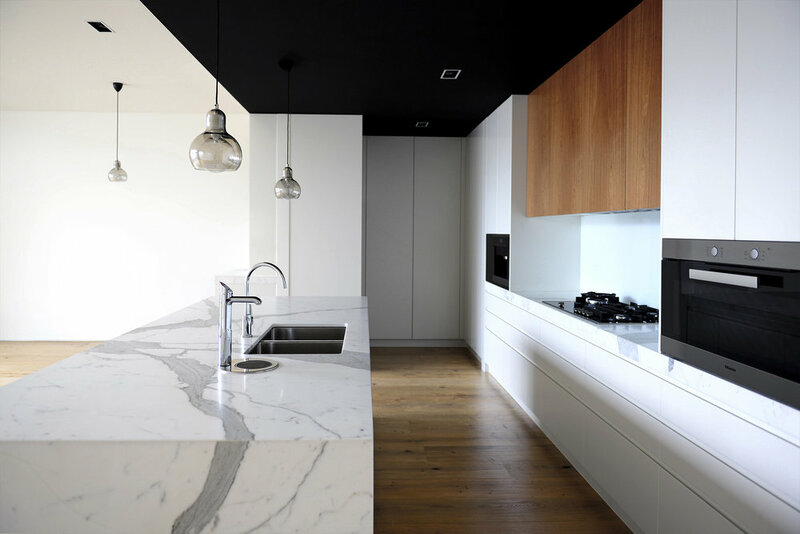 Timber floors flow into the elegant designer kitchen and dining, which features ILVE appliances, 40mm stone bench tops and 2 pack cupboards and glass doors which open effortlessly onto the private courtyard. Upstairs, there are three large bedrooms, master with walk in robe and fully tiled ensuite. 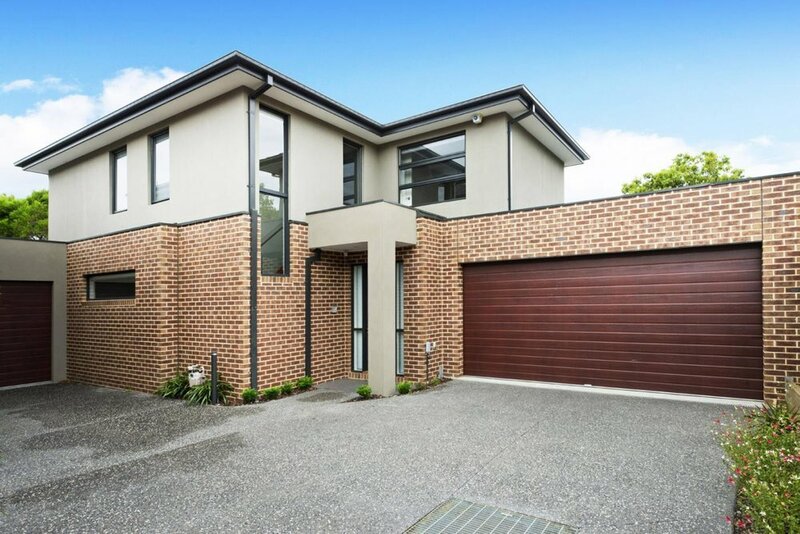 Designed to the highest modern standards, with a remote lock-up garage, heating, cooling, 2.7m ceilings on both floors. Pascon Group successfully completed this project in March 2016.